We are delighted to welcome Ryan and Nicole of Wonderful Idea co, USA, on board to help with our exhibition development. They started working with us last autumn, Nicole designed and fabricated a playful interactive sign to welcome visitors to the show and Ryan traveled to Explora, Albuquerque to lead professional development workshops with the education team on hands-on automata extensions. 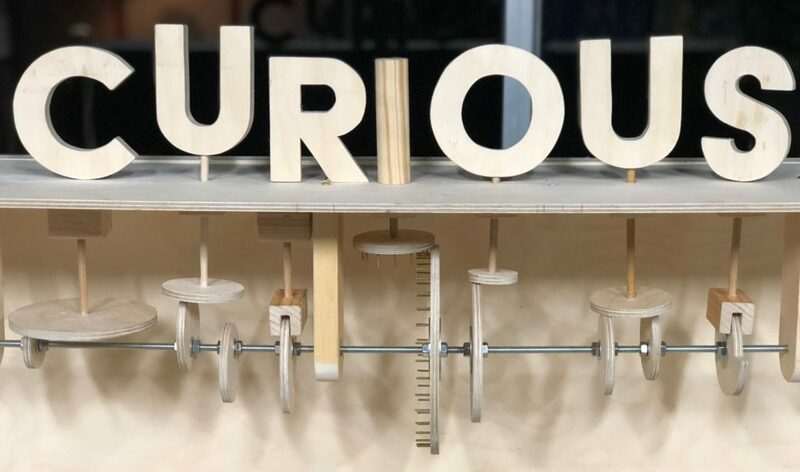 Check out their post detailing the making of the fantastic sign for the Curious Contraptions show.